The National Museum of the American Indian New York is certainly worth a visit. For people who are visiting the city for the first time, but also for those who have been to New York before. 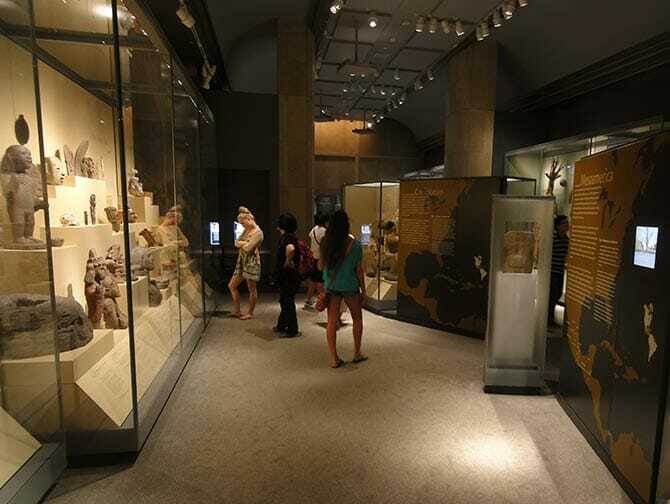 The National Museum of the American Indian is part of the Smithsonian Institution in Washington D.C.. The biggest museum and research complex in the world is run by the American government. And that’s what makes the National Museum of the American Indian so nice to visit: it’s absolutely free. However, there are more reasons to visit the museum. Take subway line 4 or 5 to Bowling Green or subway line 1 to South Ferry. Once above ground, you can’t miss the beautiful building with impressive columns on both sides and an imposing staircase. U.S. Custom House, where the museum is housed, looks like a Greek temple. The building is not only beautiful but has a rich history.Built on the remains of Fort Amsterdam, built by the Dutch in 1625 to protect the nearby harbour of New Amsterdam. It became the meeting place for the Dutch and the Native Americans who exchanged animal skins for knowledge of the seas and trade routes. Unfortunately, this contact wasn’t always peaceful. The English, to whom New Amsterdam was sold in 1664 also had conflict with the natives. 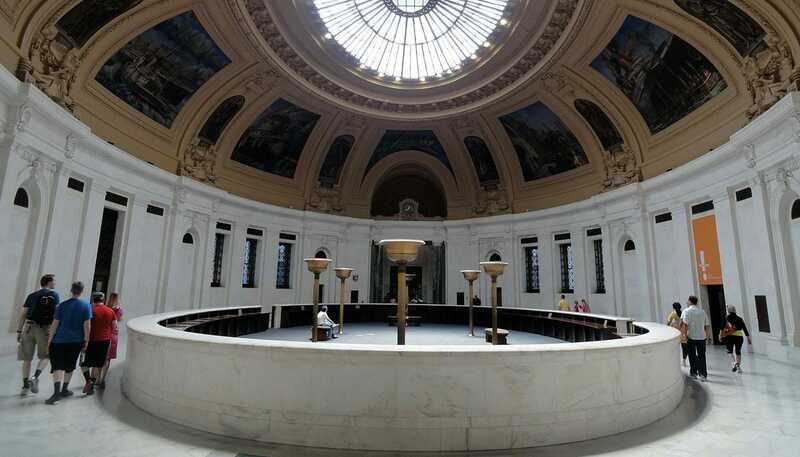 Consequently, the National Museum of American Indian being housed in the U.S. Custom House is no coincidence. 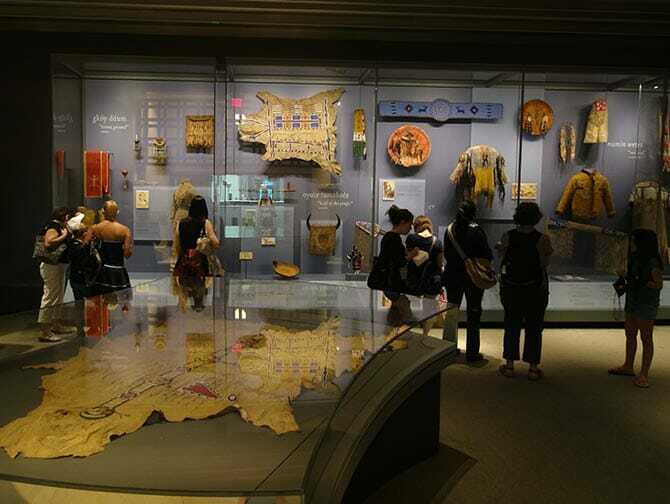 The permanent exhibition “Infinity of Nations” shows the history and art of the various Indian nations. It is but a selection of the millions of objects that the wealthy New Yorker George Gustav Heye (1874 – 1957) collected during his travels through North, South and Central America. Upon entering the museum, at the end of the oval hall you will find the entrance to this exhibition. Don’t forget to look up before you enter, the ceiling of the oval hall has been beautifully decorated with paintings of the former harbour. Once inside, view the various clothes, utensils and artworks of the Indians, each divided per habitat.